We got a new tiller yesterday because our old one gave us all she’s got. So now we are ready to get our little garden ready and plant some yummy veggies! I LOVE being about to go to the grocery store in my own back yard :)! Granted we have a limited variation in our “grocery store” but I love that I can at least make a salad and salad dressing from my small garden with the veggies and herbs. 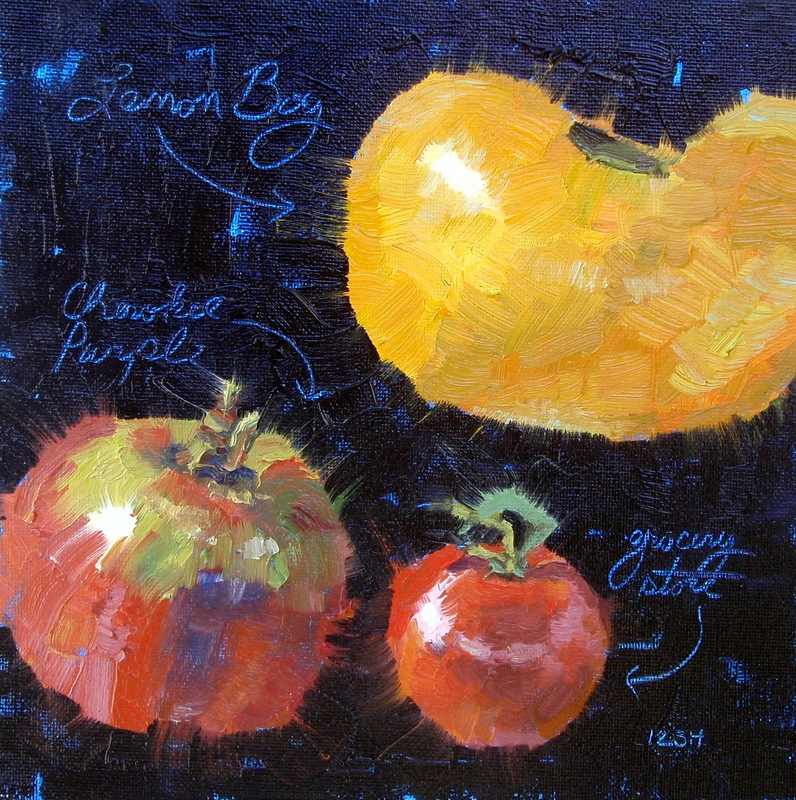 Here’s a quick painting I did of some of the tomatoes in our garden last year. I did it more in a sketch book style – I like doing this from time to time.